At present, developed countries have begun to promote the use of RFID technology in the area of â€‹â€‹intelligent transportation; as the technology matures, it gradually begins to gain a certain degree in areas such as domestic access control, warehousing logistics management, airline baggage sorting, and intelligent traffic management automatic charging. application. About radio frequency identification technology Radio Frequency Identification (RFID) Radio Frequency Frequency Identification (RFID) technology, also known as electronic tagging and radio frequency identification, is a communication technology that can identify specific targets and read and write related data through radio signals without identifying the system and the specific target. Establish mechanical or optical contact. Commonly used are low-frequency (125k~134.2K), high-frequency (13.56Mhz), UHF, passive and other technologies. 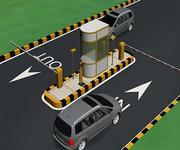 RFID readers are also divided into mobile and stationary. Currently, RFID technology is widely used, such as libraries, access control systems, and food safety traceability. The number of components in the RFID card/tag market will increase from 894 million in 2012 to 211.0 billion, with a compound annual growth rate of 19%. Market revenue increased from 454 million U.S. dollars in 2012 to 807 million U.S. dollars in 2017, with a compound annual growth rate of 12%. The Chinese consumer RFID market is the most powerful. The most popular applications in the RFID industry include medical care, smart campuses, and intelligent transportation. China's consumer RFID market is the most powerful According to the Lux Research Company report, as the government pays more and more attention to the future development of the Internet of Things (ie, to make daily supplies smart and connected) and the emergence of more and more related private companies, China RFID The card market value will exponentially increase in 2017, and related parts and components will also grow exponentially. The consumer market is the most powerful. The adoption of anti-counterfeit RFID tags plays a leading role in the promotion of consumer applications. These applications are the fastest growing and the compound annual growth rate will reach 38% in 2017. The industry application will grow by 25%, of which electronic charges are the largest contributors. More local original equipment manufacturers appear. The development of Chinese original equipment manufacturers will create new momentum for the RFID card/tag market. At present, the top 15 manufacturers account for 57% of the Chinese market and will further develop in the future. The fast-growing UHF market is the key. Chinese companies do not have a strong advantage in UHF chip market, and the market has great potential for growth, which will increase to 236 million U.S. dollars in 2017. However, the government is also investing heavily in developing domestic UHF chips. It seems that multinational suppliers need to take further action. The market demand for RFID health medicine will increase. Recently, Global Industry Analysts (GIA) released a new report, predicting that RFID will reach US$17 billion in the health care and pharmaceutical market by 2018. In the report entitled "RFID in Healthcare and Medicines: Global Business Strategy Report", GIA attributes the main drivers of growth to user demand for additional features, advances in RFID technology, and the increased demand for counterfeiting of counterfeit and expired drugs. RFID applications in the healthcare and pharmaceutical industries are affected by the industry's need for real-time location systems (RTLS), as well as the ability to locate devices, patients, and workers, and improve the safety and efficiency of medical services. In addition, marking a single drug will eliminate the use of counterfeit drugs, and pharmaceutical companies will be able to accurately locate the recalled drugs. RFID technology can also be used when recording patient conditions. The growth of the market also stems from strong support from governments such as the United States and South Korea, which have also reduced losses in this area. RFID technology assists smart campus construction The so-called â€œsmart campusâ€ refers to changing the way in which schoolmates, staff, and campus resources interact with each other through the use of new technologies such as cloud computing, virtualization, and the Internet of Things, and brings together teaching, research, and management in schools. Campus resources and application systems are integrated to increase the clarity, flexibility, and responsiveness of application interactions, enabling a smarter service and managed campus model. In 2010, in the "12th Five-Year Plan" of informationization, Zhejiang University proposed the construction of an "exciting" "smart campus." This blueprint depicts: ubiquitous online learning, integration of innovative online research, transparent and efficient school administration, a colorful campus culture, and convenient campus life. In short, "To be a safe, stable, environmentally friendly, energy-efficient campus." RFID leads the intelligent traffic information The radio frequency identification technology (RFID) is a non-contact automatic identification technology. It automatically identifies target objects and obtains data information through radio frequency signals. The recognition can work in various harsh environments without manual intervention. And can identify multiple target objects at the same time, the operation is quick and easy. The general RFID system consists of three parts: Tag, Reader, and Antenna. RFID technology has the advantages of waterproof, antimagnetic, high temperature resistance, long service life, large read distance, data on the label can be encrypted, storage data capacity, etc., and its application will bring revolutionary changes to intelligent traffic management. At present, developed countries have begun to promote the use of RFID technology in the area of â€‹â€‹intelligent transportation; as the technology matures, it gradually begins to gain a certain degree in areas such as domestic access control, warehousing logistics management, airline baggage sorting, and intelligent traffic management automatic charging. application. However, the application of intelligent traffic management is still rare, and only a few RFID industry companies have proposed their own road/vehicle RFID management system to automatically identify and automatically manage vehicle activities through non-contact information collection and processing of vehicles. For example, there is no parking fee system. Professional Interior Shutter Doors Supplier & Manufacturer is located in China,including Window Shutter Doors , Security Shutter Doors , Rolling Shutter Window ,etc. A leading Supplier & Manufacturer of Sliding Windows in China,offers high quality Thermal Break Door , Sliding Door , Aluminum Sliding Door . please contact us.We are Supplier & Manufacturer of Window Aluminium Profile in China, if you want to buy Doors Aluminium Profile,Curtain Wall Aluminium Profile,Industry Aluminium Profile,please contact us. We can produce many kinds of surface treatment.